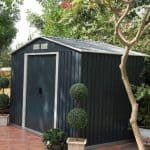 This metal garden storage shed is a great addition to your storage needs. 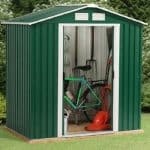 It is large enough to allow accommodation for most of the items that people have in their gardens. 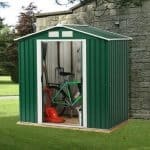 But on top of this it also has a strong construction, with some of the most durable metals available today included in the structure. 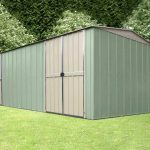 The building also benefits from a 25-year manufacturer’s guarantee. 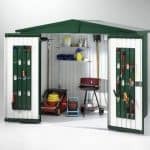 This gives you immense peace of mind as you use it to store your items. 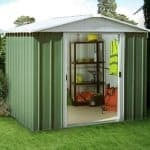 In addition, you also have a building that is delivered free of charge in the UK.